My name is Alleena Steward and this is my third year teaching at Rongomai School. I have been blessed this year with teaching Year 1, 2 and 3 students in Room 9. 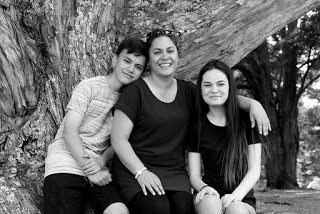 I live in Takanini with my two AWESOME tamariki Kaeleen and Ethyn. Kaeleen is Year 12 attending Auckland Girls Grammar and Ethyn is Year 11 at Alfriston College. I enjoy reading and spending time with my whanau. My personal goal this year is to try and live a healthier lifestyle which means eat less takeaways and be more active in my spare time.